Just about anyone can do basic improvements to his or her home to add value. Even a beginner DIYer can make his or her home look and feel luxurious. When in doubt, always hire a professional. So you just bought a house that needs some work, but you are a short on cash and ever shorter on the skills needed to fix up your place. Not to worry! There are plenty of home improvement projects even the most beginner of DIYers can handle. In fact, here are 10 such projects that can work for practically every budget and skill level. We’ll start with the very easiest of projects and then add some more interesting ones once you feel you’ve gotten the hang of some of them. One of the easiest ways to spruce up the look and feel of your house is by painting. Whether painting just an accent wall, a whole room or the entire exterior of your house, painting is easy enough for anyone to tackle. Just make sure to clean the walls before you paint, always tape the edges, and never roll horizontally! Not every home has a garage, but if you do, it’s most likely messy and disorganized. Adding a permanent organization system to your garage is a great way not only to free up usable space but also to add some perceived value to your property. Having a designated place for all of your tools, your yard equipment, athletic and outdoor gear and anything else you might be carrying around is much better than just stuffing them into a corner of the garage. Curb appeal. It’s often the top reason cited why potential buyers won’t buy a house. If the house looks ugly on the outside, it will probably be ugly on the inside. Having a great first impression is key when buying a home. The best way to make that great first impression is to have a well-manicured front yard. 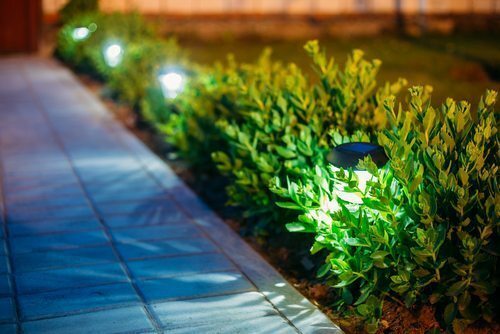 Sod, trees, shrubbery, annuals and more are just some of the basics any beginner DIYer can install and maintain to keep his or her curb appeal dazzling. Curb appeal is often the top reason cited why potential buyers won’t buy a house. Every home has doors, yet not everyone knows there are thousands of ways you can decorate your doors. The easiest way to do that is to replace the hardware on your doors. Whether it’s your front door, your bedroom door or some cabinet doors, changing up the hardware can have as much impact on a room as painting it. Changing up the hardware can have as much impact on a room as painting it. Change the color of the hinges from gold to black. Replace an old knob with a fancy lever. Add an electronic keypad to your front door so you never have to worry about forgetting your keys! Like painting, staining is a fantastic way to change the look and feel of an area from drab to luxurious. Pressure washing and staining a deck to a darker color can make your deck feel like new, and it gives discerning buyers what they want. Staining is a fantastic way to change the look and feel of an area from drab to luxurious. Do you want to make a room look more contemporary? How about that modern look? Or farm-house chic? One of the best ways to enhance the look of your home is by changing the light fixtures. And yes, even a beginner DIYer can handle changing a light fixture. If you can tie shoe laces, you can wire a light fixture. Just be sure always to turn the electrical break off before starting any electrical project. Have you ever looked into your bathroom mirror after you’ve taken a shower and realized you weren’t the only naked thing in the room? Most mirrors are simply just a plate of glass with nothing else around them. To upgrade the look, find a large picture frame at an antique store or farmer’s market. (Or buy a new mirror to fit inside of an existing picture frame.) Then, hang that picture frame around your mirror for that luxurious look. If you’re feeling adventurous, you can always custom make your own frame using baseboard molding. Just be sure to cut your corners at a 45-degree angle. In warmer climates, ceiling fans are an absolute must. Or, if you live in a place where you don’t have to run the air conditioner often but still want air circulation, you need a ceiling fan. 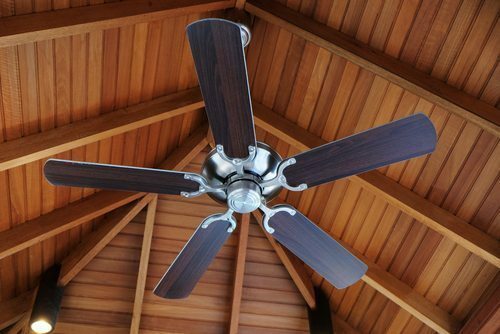 Like light fixtures, ceiling fans are similarly installed and can change the look and feel of a room in an instant. Although most beginner DIYers like to look at their new improvements with pride and joy when they finish installing them, insulation is one improvement that your brain will enjoy more than your heart. You won’t be able to see the fruits of your labor when you’re done installing new blown or rolled insulation into your attic and walls. But, your wallet will be reaping the rewards of your efforts once your heating and cooling bills are reduced. If you can wrap a present in wrapping paper, you are one step away from installing new carpets in your home. Like wrapping a present, carpeting simply involves measuring, cutting, rolling and adhering. Carpets can be worn out in less than five years. Replacing your carpet (and carpet padding underneath) will certainly add value to your home. Plus, nothing feels better on your toes than fresh, new carpets! As with any renovation or improvement project to your home, make sure you consult with your community homeowner’s association (if you have one) to make sure the changes are in line with the community restrictions. And acquire any permits necessary to be in compliance with your local ordinances. And finally, when in doubt, there’s nothing wrong with throwing in the towel and hiring a professional. The easiest home improvement project you can do is sit on your couch and watch other people do the work for you! Nico Hohman is a real estate agent and construction manager for NextHome Discovery. Follow him on Facebook or connect with him on LinkedIn.